You are here: Home › Further Reading › JFK Assassination FAQs › Did Lee Harvey Oswald Try to Kill Richard Nixon? According to his widow, Lee Oswald had planned to shoot Richard Nixon in April 1963. The details of the story are flimsy, and there is no evidence that Nixon was in Dallas at that time. One of the more improbable charges made against Lee Harvey Oswald was that he had planned to shoot the former vice–president, Richard Nixon, in April 1963. The story began when Robert Oswald, the alleged assassin’s brother, heard from James Martin that Lee had planned to shoot Nixon, and that to prevent the attack, Lee’s wife, Marina, “had locked Lee in the bathroom for the entire day” ( Warren Commission Hearings , vol.1, pp.334ff). Mrs Oswald, will you repeat what your husband said that morning when he dressed and got the pistol? I asked him where he was going and why he was getting dressed. He answered, “Today Nixon is coming and I want to go out and have a look at him.” I answered, “I know how you look,” and I had in mind the fact that he was taking a pistol with him. Did he say anything about what he intended to do with the pistol? Did you ask him if he intended to use the pistol against Mr Nixon? I told him that, “You have already promised me not to play any more with that thing.” Not really play, but, you know — I didn’t mean, of course, just playing but using the pistol. Then he said, “I am going to go out and find out if there will be an appropriate opportunity and if there is I will use the pistol.“ I just remembered this and maybe I didn’t say this in my first testimony and now it just has occurred to me that he said this. Did your husband say why he wanted to use the pistol against Mr Nixon? Did he say where he intended to see Mr Nixon? He didn’t say. He just said in Dallas, and since Nixon was coming to Dallas. ROBERT LEE OSWALD … advised that on January 13, 1964 JAMES HERBERT MARTIN, business manager for Marina Oswald, told him that MARINA had told MARTIN that when RICHARD NIXON visted Dallas, date unknown, MARINA found out that LEE HARVEY OSWALD intended to shoot NIXON. MARTIN indicated to ROBERT OSWALD that MARINA had locked LEE HARVEY OSWALD in the bathroom the entire day that he planned to shoot NIXON to prevent him from doing so. MARINA did not know who NIXON was and does not recall OSWALD ever mentioning his name. She did not care who he was but knew she had to act fast. She went to the bathroom and called OSWALD. He came to the bathroom and as he entered she quickly jumped outside the door closing it as she left the bathroom. She forcibly held the door shut by holding on to the knob and bracing her feet against the wall. OSWALD attempted to pull the door open but because of her strength she was able to keep him from leaving the bathroom for a period of about three minutes she believes. Do you recall the bathroom, how the door closes? Does it close into the bathroom on Neely Street or from the outside in? I don’t remember now. I don’t remember. I only remember that it was something to do with the bathroom. Did you lock him into the bathroom? Do you recall how the locks were on the bathroom door there? I can’t recall. We had several apartments and I might be confusing one apartment with the other. Is it your testimony that you made it impossible for him to get out if he wanted to? Richard Nixon does not appear to have been in Dallas at the time of the alleged threat from Oswald, although he had a vague recollection of an invitation to visit Dallas “during the early part of 1963, probably in April” ( Warren Commission Hearings , vol.23, p.831). Maurice Carlson, chairman of the Republican Party in Dallas County, remembered inviting Nixon in April (ibid., p.414 [Commission Exhibit 1795]), a claim corroborated by William McKenzie, Marina Oswald’s lawyer ( Warren Commission Hearings , vol.1, p.339). Carlson later changed his mind ( Warren Commission Hearings , vol.23, p.416). The Warren Report stated that “Mr Nixon advised the Commission that the only time he was in Dallas in 1963 was on November 20–21, 1963. An investigation failed to reveal any invitation extended to Mr Nixon during the period when Oswald’s threat reportedly occurred” ( Warren Report , p.188). Nixon left Dallas early on the morning of 22 November, an event that has led some conspiracy theorists to suppose that he may have had some involvement in President Kennedy’s assassination. Nixon was in town on business, according to the Dallas Times–Herald of 21 November 1963. Maurice Carlson’s FBI statement includes the information that Nixon “arrived by private plane with the President of the Pepsi Cola Company” ( Warren Commission Hearings , vol.23, p.414). Nixon was presumably performing legal work in conjunction with Pepsi’s forthcoming commercial links with the Great Southwest Corporation. She described Lee Oswald practising with a rifle in January 1963. She described an attempt by Oswald to shoot General Edwin Walker in Dallas in April 1963. Although the Warren Report made use of the incriminating stories about the rifle and the attempt on Walker, in private the Warren Commission cast strong doubt on Marina’s credibility: “Marina Oswald has repeatedly lied to the [Secret] Service, the FBI, and this Commission on matters which are of vital concern to the people of this country and the world” ( HSCA Report , appendix vol.11, p.126). The story about the rifle was repudiated by Marina Oswald herself. The story about Walker is contradicted by almost all the other evidence in the case. The story about the attempt on Nixon is so poorly supported that even the Warren Commission felt unable to use it. In the absence of other evidence that Oswald actually intended to shoot someone at this time, the Commission concluded that the incident, as described by Marina Oswald, was of no probative value in the Commission’s decision concerning the identity of the assassin of President Kennedy. Nor did it note the obvious significance of the fact that Marina Oswald had generated several incriminating stories about her late husband and had “repeatedly lied to … this Commission”. For several weeks after the JFK assassination, Marina Oswald was detained by the Secret Service at the Inn of the Six Flags in Arlington, between Fort Worth and Dallas. During her detention, she was out of the reach of the press, and was interviewed repeatedly by the Secret Service and the FBI. 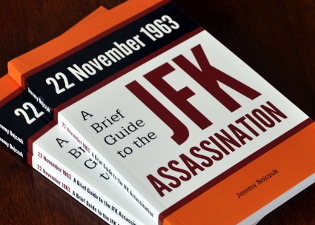 It was in her interviews with the FBI that Marina first produced stories in support of the official case that her husband had killed President Kennedy. Marina Oswald, a Soviet citizen with two young children and a limited understanding of the English language, was persuaded to co–operate by being subtly threatened with deportation from the US. Although the threats were implied rather than made explicit, their meaning was obvious to Marina and her brother–in–law, Robert Oswald, who was present for part of the time at the Inn of the Six Flags. And did she [Marina Oswald] have an aversion to being interviewed by the FBI agent on this occasion? And she expressed that aversion? She had an aversion to speaking to him … I would say this was certainly so. His manner was very harsh, sir. In my presence. And the tone of the reply between this gentleman and Mr Gopadze, and back to Marina, it was quite evident there was a harshness there, and that Marina did not want to speak to the FBI at that time. And she was refusing to. And they were insisting, sir. And they implied in so many words, as I sat there — if I might state — with Secret Service Agent Gary Seals, of Mobile, Ala. — … it came to my ears that they were implying that if she did not cooperate with the FBI agent there, that this would perhaps — I would say, again, I am implying — in so many words, that they would perhaps deport her from the United States and back to Russia. I returned to my chair at the table where we were still opening mail, and again for the second time, the same implication was brought out. You understand that you do not have to tell the Commission here [sic] in order to be able to stay in the country. Did you see anyone from the Immigration Service during this period of time? Yes. … I was told that he had especially come from New York, it seems to me. That if I was not guilty of anything, if I had not committed any crime against this Government, then I had every right to live in this country. This was a type of introduction before the questioning by the FBI. He even said that it would be better for me if I were to help them. Did he explain to you what he meant by being better for you? In the sense that I would have more rights in this country. I understood it that way. Did you understand that you were being threatened with deportation if you didn’t answer these questions? No, I did not understand it that way. You see, it was presented in such a delicate form, but there was a clear implication that it would be better if I were to help. This was only felt. It wasn’t said in actual words. Did you feel that it was a threat? This was not quite a threat — it was not a threat. But it was their great desire that I be in contact, in touch with the FBI. I sensed that. But you did not consider it to be a threat to you? Did anyone indicate that it would affect your ability to work in this country if you cooperated? Is there anything else about your treatment by law enforement officials during this period that you would like to tell the Commission? I think that the FBI agents knew that I was afraid that after everything that had happened I could not remain to live in this country, and they somewhat exploited that for their own purposes, in a very polite form, so that you could not say anything after that. They cannot be accused of anything. They approached it in a very clever, contrived way. It was the FBI that encouraged Marina Oswald to produce the stories that incriminated her late husband. The Secret Service seems to have played the role of facilitator, in partnership with individuals associated with the Great Southwest Corporation. Shortly after Lee Oswald’s murder on Sunday 24 November, President Johnson authorised the Secret Service to provide secure accommodation for members of the Oswald family. The Secret Service had fortuitously anticipated this, and even before Oswald had been shot, had booked accommodation for the family at the Inn of the Six Flags in Arlington (Warren Commission Document 87 [Secret Service File no. C0–2–34030]). Marguerite Oswald, the alleged assassin’s mother, produced an improbable story to justify the Secret Service’s premature involvement. By what she admitted was “a very unusual coincidence”, she decided suddenly at 6 o’clock on Sunday morning, while her son was still alive, that she needed secure accommodation, and contacted a Russian–speaking acquaintance, Peter Gregory, who proceeded to get in touch with a representative of the Secret Service, who then booked the accommodation ( Warren Commission Hearings , vol.1, p.155). The previous day, and unknown to Marguerite Oswald, the acquaintance had been appointed Marina’s interpreter by the Secret Service agent who would go on to book the accommodation ( Warren Commission Hearings , vol.2, p.344). James Martin, the earliest source for the story that Oswald had planned to shoot Richard Nixon, was the manager of the Inn of the Six Flags, which was owned by the Great Southwest Corporation. Shortly after Marina Oswald began her detention at the Inn of the Six Flags, James Martin became her manager. At around the time Marina made her incriminating statements to the FBI, she appointed William McKenzie to take charge of her legal affairs. McKenzie had been a member of the law firm Wynne, Jaffe and Tinsley. Bedford Wynne, a senior partner in that firm, was one of the owners of the Great Southwest Corporation. In another curious coincidence, Morris Jaffe of the same law firm was the attorney for George de Mohrenschildt, the man with intelligence connections who had been keeping an eye on the Oswalds until a few months before the assassination. In yet another curious coincidence, Bedford Wynne was one of the directors of the insurance company in whose building the Dallas office of the Secret Service was situated. Although they played a role in the cover–up, there is no reason to suppose that the Secret Service, the Great Southwest Corporation, or any of the individuals associated with either organisation were involved with the assassination itself. The web of unlikely coincidences linking the Secret Service and the Great Southwest Corporation does, however, illustrate the way in which a network of local connections was utilised to enable the earliest stages of the JFK assassination cover–up to be carried out. and the financial connections between, on the one hand, Bedford Wynne and the Great Southwest Corporation, and, on the other hand, the Bobby Baker corruption scandal, which threatened to engulf Lyndon Johnson in late 1963.